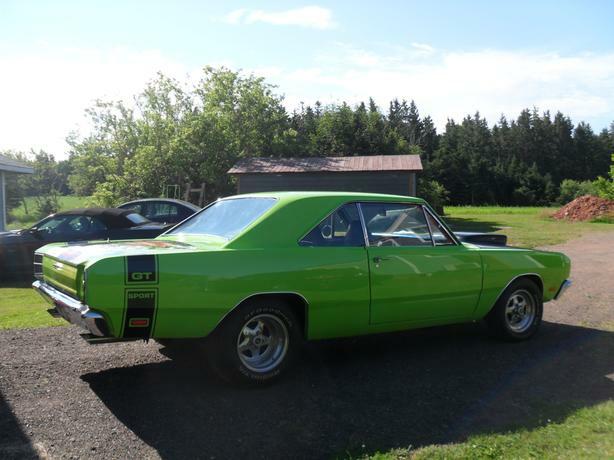  Log In needed $25,500 · 1969 Dodge Dart-" The Wizard"
I am selling my 1969 Dodge Dart Sport. It has a 340-4 speed with sniper fuel injection. It comes with a car cover and extra trunk lid. The trunk lid that is on it has a mural of a wizard painted on it. It is a real eye-catcher. Call 902-659-2488 or 902-626-7893. Serious inquiries only. No trades please.